In a world full of stress, sleeping problems are common – and some people have medical conditions that prevent them from getting quality sleep every night. One of the most common of these problems is sleep apnea, which causes breathing problems when you are asleep. If you have sleep apnea, you may find yourself waking up in the middle of the night or feeling tired despite hours of sleep. 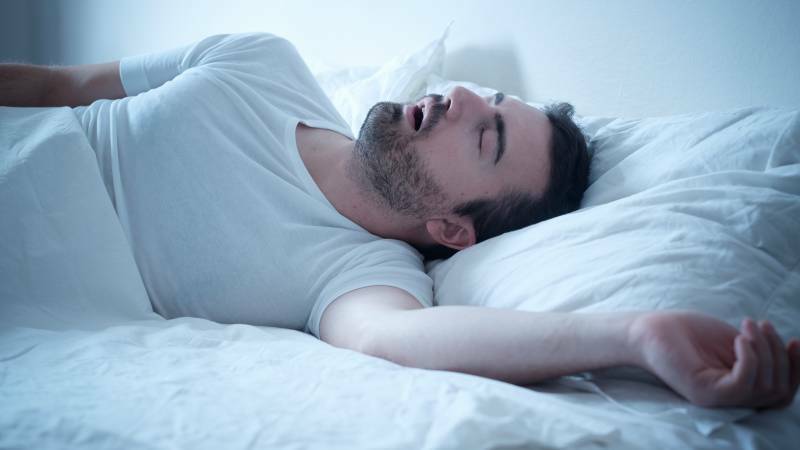 Fortunately, there are a number of remedies available for resolving sleep apnea. Doctors generally recommend that patients with sleep apnea start with a CPAP mask. CPAP masks push oxygen down your throat while you sleep to open obstructions created by soft tissue that becomes more relaxed than normal. As long as you remember to use your CPAP mask each night, it will resolve even the most severe cases of sleep apnea. Under federal law, you’re required to get a doctor’s prescription before purchasing a CPAP mask, CPAP machine, or oxygen tank. CPAP masks are a fire hazard because the oxygen tanks they use can explode if mishandled. Additionally, the Sleep Foundation reports that people can become dependent on CPAP masks, and increased oxygen levels can lead to reduced blood pressure and nasal congestion. In most cases, the benefits of a CPAP mask far outweigh the side effects associated with these devices. Obesity is the most common cause of sleep apnea, according to WebMD, because excess body mass can push the muscles in your throat together. When sleep apnea reduces the quality of your sleep, you are at greater risk of having a heart attack or stroke. Unfortunately, the combination of obesity and poor sleep can put you in serious danger of developing life-threatening physiological problems. To determine whether a healthy diet is the answer to your sleep apnea, doctors usually recommend measuring the circumference of your neck and calculating your body mass index. If your neck has a circumference greater than 16.5 inches or your BMI is above 30, your weight is likely the cause of your sleep apnea. Losing weight can be a healthy, natural way to resolve your sleeping problems. Exercise is an important way to supplement a healthy diet when you’re trying to lose weight. You don’t have to become a bodybuilder to lose weight through exercise. 30 minutes of working out, DrAxe.com writes, can be enough to stop weight gain and gradually reduce your BMI. You should focus on aerobic exercises when trying to lose weight because these exercises burn calories without creating new muscle mass. If you only do anaerobic exercises and stop your workout routine for even a short period of time, much of your new muscle mass will be converted into fat. If you make working out part of your daily routine, your sleep apnea will gradually start to go away. Some studies have shown that antioxidants can be effective for treating sleep apnea. In one study published in Life Extension magazine, patients with sleep apnea were given 500 milligrams of vitamin C in an attempt to resolve their sleeping problems and improve blood vessels in their throats. After taking the vitamin C, the patients had normal blood vessels, and their quality of sleep improved. Other studies have shown that vitamin E, selenium, omega-3 fatty acids, and other supplements with antioxidative properties have the potential to help patients with sleep apnea. Although antioxidants haven’t been officially recognized as an effective way of treating sleep apnea by the medical community, antioxidants are worth trying when you’re struggling with sleeping problems. Alcohol can cause sleeping problems for anyone, including healthy individuals. Unfortunately, people often see alcohol as a sleep aid because it can help you to fall asleep when you’re feeling restless. Once you fall asleep, however, your quality of sleep is significantly reduced when you have alcohol in your system. It can also be harder to stay asleep while intoxicated. The bottom line is that since alcohol can exacerbate sleeping problems, you should avoid alcoholic beverages at night. As with most medical conditions, smoking can significantly worsen the symptoms of sleep apnea. Many medical conditions, including sleep apnea, are caused by inflammation. Smoking increases the level of inflammation in your upper airway, so smokers are more likely to experience sleep apnea. Other drugs, such as opioids and antidepressants, can also exacerbate sleeping problems. When you have medical problems, talking to your doctor is usually the best action you can take. There is plenty of information available about sleep apnea on the Internet, but it’s difficult to decide on the best course of action without a strong background in medical science. Furthermore, many of the most effective sleep apnea cures require a prescription, so you’ll need to talk to your doctor to get the treatment you need. Confirming your sleep apnea diagnosis is an important first step before you can get the treatment you need. Talk to your doctor to learn more about how you can resolve your sleep apnea and find the right remedy for you. If you’re interested in finding sleep apnea solutions, start a search today.